Renovate your wooden furniture with Fantastic Handyman! You can trust our reliable carpenters to spruce up your home by restoring your old and broken furniture. There is no job that we can't do! No matter the project size, our technicians are always happy to give their best, so you can feel good in your home. We work with residential and commercial clients at reasonable prices. We offer a variety of carpentry services including woodwork repairs, installations and fittings. 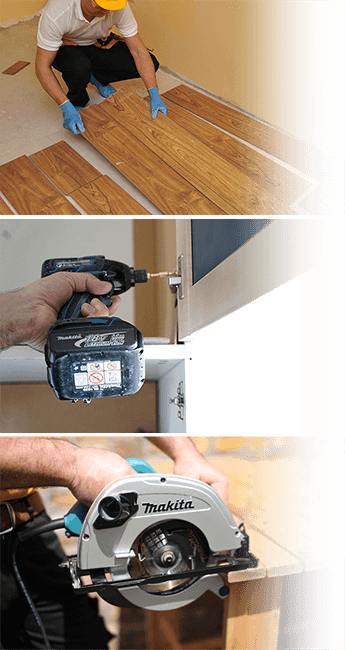 Woodwork replacements: floorboard replacements, replacing cabinet and storage unit doors, replacing hinges and hooks and more. We understand how important to you is the look of your home or office. We strive to provide you with high-quality work at reasonable prices to maximize the value of your money. We let our customers rate the services we offer. By providing us with honest and constructive feedback, we continue to push ourselves to increase the quality of our services. Hiring our carpentry solution, you’re getting a professional service fully designed to satisfy your needs, ensuring you’ll be completely satisfied with the end result. We’ll come fully equipped with your property with the needed tools to fix anything broken following high industry-set standards. You can book our service online and request a free quote from our online booking form. If you have questions for us you can speak with our friendly operators through the live chat on the website or call us on the phone. Our trained carpenters cover a full range of services - they can fix everything wooden around your house. The technicians will talk to you before, during and after the job to make sure everything is done to your specific needs, ensuring that we’ll not only meet your expectations but exceed them. 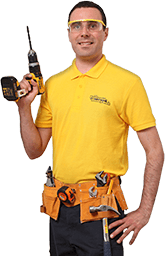 Fantastic Handyman specialises in a range of property improvement and home repair service. We offer you the opportunity to combine our services if you have more than one thing that needs to be taken care of in your home. Save time and money by requesting another home renovation service alongside your carpentry appointment. Do you have a flat pack furniture lying in its box for a long time? Hire our furniture assembly team. You can take advantage of our wall painting, door repairs or plumbing service. Contact us to get a free quote!